Did you hear?? Guests 21+ no longer have to park hop around Walt Disney World in order to get their drink on when visiting the Magic Kingdom. 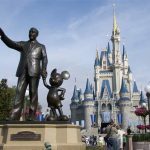 Now park guests can indulge in adult beverages at every sit-down restaurant in the Magic Kingdom, which has had a strict policy banning alcohol from the park since its opening back in 1971. All the other Disney parks (Epcot, Animal Kingdom, Hollywood Studios) serve booze, but Magic Kingdom was the last park to keep things sober, respecting Walt Disney’s vision to keep the Magic Kingdom G-rated. But times are a’changing. The first Magic Kingdom restaurant to serve alcohol was the Beauty and the Beast themed restaurant, Be Our Guest, which opened back in 2012. Then in late 2016, Magic Kingdom added four more sit-down restaurants that serve wine and beer: Tony’s Town Square, Cinderella’s Royal Table, Skipper Canteen, and Liberty Tree Tavern. Tony’s Town Square on Main Street offers beer and Italian wines. Cinderella’s Royal Table offers mimosas, bellinis, and sangrias for breakfast, and a rather extensive wine list for lunch and dinner. Liberty Tree Tavern has beer, cider, and wine. Now Disney has announced that guests 21+ can order alcohol off the menu at all Magic Kingdom sit-down restaurants with the addition of three final table service restaurants adding booze to their menus. The three additional restaurants include the Plaza Restaurant, a casual salad and sandwich spot on Main Street USA; the Crystal Palace, a character buffet restaurant with Winnie the Pooh, Eeyore, and Piglet; and the Diamond Horseshoe, a dinner buffet in Frontierland. These restaurants now feature specially selected adult beverages that are unique to their menu. At the Plaza Restaurant, guests can enjoy American beer and wine, including a regional craft India Pale Ale. At the Crystal Palace, guests can indulge in sparkling wine breakfast mimosas, as well as beer and wine, such as Chardonnay and Pinot Noir, to pair with their lunch and dinner buffets. At the Diamond Horseshoe, guests can grub on Frontierland food with wine or classic American beer such as traditional lagers. Counter services will not be serving alcohol of any kind and hard liquor is still prohibited throughout the park. Disneyland in Anaheim, CA is still a dry park except for the ultra-exclusive members-only Club 33. #JUSTICEFORBARB – The Upside Down is coming to Universal Orlando’s Halloween Horror Nights 2018. Universal just announced that they are partnering with Netflix to give the pop culture phenomenon, Stranger Things, the honor of Halloween Horror Nights fame at their Orlando, Hollywood, and Singapore park locations. The season 1 inspired maze will start guests off on Mirkwood and end with them being terrorized by none other than the Demogorgon. Guests will find their way to the Byers’ family home – complete with an epic display of erratic flashing Christmas lights. 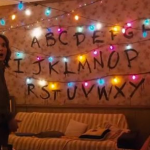 Guests will also be chased through the Hawkins National Laboratory and they will experience the freakishly eerie floating orb spores of the Upside Down firsthand. I’m willing to bet my right arm that Eleven and her Eggos also make an appearance in the maze at some point! 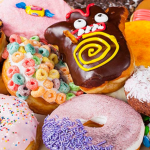 “We’re very excited to be working closely with Netflix – to give our guests an immersive experience into the “Stranger Things” world by recreating some of the show’s most iconic scenes, 80’s settings, and most loved characters,” said Universal. This will be the first time Netflix has dared to cross over into the foreign waters of the tourism industry, despite CEO Reed Hastings previously showing some signs of interest. We certainly hope it won’t be the last Netflix hit to make its way to HHN Orlando! Universal Orlando’s Halloween Horror Nights runs September 14th through November 3rd. Universal is already offering BOGO tickets – buy one night, get one night free (available on select nights). I’M IN! Now, who’s coming with me? 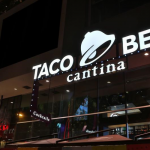 Booze-serving Taco Bell Cantina Opening Near UCF! What goes with broke college students better than the Taco Bell dollar menu? How bout’ a Taco Bell with a dollar menu AND booze? That’s right, folks! Taco Bell is opening Central Florida’s first booze-serving Taco Bell Cantina location in the UCF area on the corner of Alafaya and University, across from UCF’s main entrance. Now, when drunk UCF students stumble out of Bar Louie (which also shares the plaza location) they can make their way to Taco Bell for some sustenance and, well, more booze! We must say, it does appear that Taco Bell is targeting the colleges in Florida, as they just recently opened their first Florida location in Gainesville, near the University of Florida. The UCF Taco Bell Cantina location will be the second Cantina location statewide. Trying to cater to today’s millennial tastes and preferences, the new Taco Bell Cantinas are more upscale than their regular Taco Bell locations and feature craft beer, wine, sangria, and their token frozen drinks… now with the option of adding alcohol! They also feature a large open kitchen and murals from local artists. The only thing missing is the drive-thru. Taco Bell has yet to release an opening date for the new UCF location but plans to open around 300 of the drive-thru-free locations over the next five years. 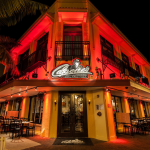 Al Capone-themed Capone’s Coal Fired Pizza Opening Near Winter Garden! Capone’s Coal Fired Pizza is opening a second Al Capone-themed restaurant (complete with pictures of famous mobsters) in the Hamlin Town Center project near Horizon West, close to Winter Garden. This will be the second location for the new pizza chain, after originally launching their brand in Fort Myers, Florida. Themed after Chicago gangster Al Capone, the new Capone’s Coal Fired Pizza location will stick with the prohibition era-theme and will feature the same wood and iron décor, and exposed brick pizza ovens, as the original Fort Myers location. The new location, Hamlin Town Center, will also be home to another future restaurant from Capone’s owner, 23 Restaurant Services, themed after early 20th-century figure, Henry Ford, called Ford’s Garage. Ford’s Garage will include nods to the Ford Motor Co.’s early vehicles. If the second Capone’s sticks with the same menu as the original Fort Myers location, the menu will include pizza, pasta, sandwiches, calzones, salads, beer, wine, cocktails, and more. 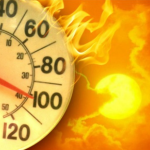 You can view the Fort Myer’s location menu here. Sticky Rice Lao Street Food Grand Opening 2/6 – 2/11 2018! Since Sticky Rice Lao Street Food (1915 E. Colonial Drive) opened their doors back in late 2017, their traditional Laotian cuisine has been receiving rave reviews from local foodies. To honor their guests and to say a big thank you to the Orlando community, they are holding their official grand opening next week. 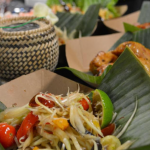 Guests will be transported to the streets of Laos by their tapas-style small plate menu which consists of several signature dishes, but foremost among them is sticky rice, traditionally served at every Laotian meal. Sticky Rice Lao Street Food also features Lao staple dishes of papaya salad, beef laab salad, lemongrass sausages, jerky and dumplings, and Lao chicken wings, among other menu items. For their grand opening week, Sticky Rice’s owner and head chef of Soupa Saiyan, Marshall Phanthachit, is celebrating with a week of specials which highlight some of their most popular dishes: Tuesday 2/6: FREE “Get Lao” T-Shirt with purchase of $30 or more Wednesday 2/7: Half off Sticky Street Wings Thursday 2/8: Half off Chicken Laab Friday 2/9: Half off Papaya Salad Saturday 2/10: Half off Thai Tea Sunday 2/11: Half off Mango Sticky Rice They’ll also be open late Friday 2/9 and Saturday 2/10 with ½ off beer after 10PM! Some pro tips from Sticky Rice include: *Sharing and eating with hands is heavily encouraged *Extra parking in the back *Call ahead for takeout orders to beat the masses You can check out their full menu via their Facebook page. It was announced back in November that Pete Morales, the former executive chef at F&D Kitchen & Bar in Lake Mary, was teaming up with Croissant Gourmet’s owner Francois Cahagne to open a new French restaurant in the Croissant Gourmet location on Edgewater Drive (2445 Edgewater Drive) in College Park. 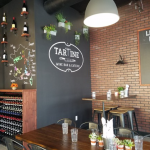 The much anticipated Tartine Wine Bar & Eaterie is now open and debuted its new breakfast and lunch menu earlier this week, serving up delicious savory items, including the legendary breakfast pastries of Chef Francois Cahagne. Additionally, husband and wife team Josh Martin and Jaimie Wikeen are the new seasoned chefs running the kitchen. Also new, is the sexier French-themed ambiance of the restaurant which proudly features an artistic black wall chalk-paint illustration, outling France’s major wine-producing regions. A small dinner menu is in the works and will showcase gourmet French cooking with a Southern twist. Rumor has it, the menu will be “well-executed and ever-changing” and will specialize in Tartine house-made bread, as well as sharable plates. Dinner service will be added Thursday – Sunday in February and will include a menu for dogs (another possible rumor?). Tartine Wine Bar & Eaterie currently offers coffee by Julius Meinl (a new espresso machine! ), hard-to-find unique French beers and ciders, and of course French wine (prices start at $24/bottle). The restaurant is now open from 8:00AM – 3:00PM. Hours will be extended to 8:00AM – 10:00PM beginning February 1st. 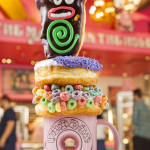 Voodoo Doughnut Coming to Orlando CityWalk Spring 2018! Downtown Orlando’s Kasa Restaurant & Bar, formerly located at 183 S. Orange Street in the Cobb Plaza Center, is changing names and menus this month. The once popular tapas restaurant and brunch spot opened back in 2013 under the guidance of Food Network’s reality TV contestant Josh Lyons and was operated by Avenue Gastrobar‘s owner, Bento Group. 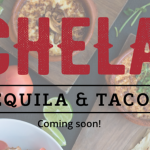 Kasa closed for remodeling and employee retraining following New Year’s Eve festivities on December 31st 2017 and will reopen January 23rd 2018 as Chela Tequila and Tacos. Manager Rodrigo Solis confirms that the former tapas spot will be adopting an upscale Mexican-inspired menu. Some of Kasa’s menu items will remain, such as the Kasa corn, but otherwise there will be an entirely new selection of dishes, confirmed Solis. Current Kasa Orlando gift certificate holders can redeem their certificates at Chela upon its opening. Chela will also continue Kasa’s weekly Unwine’d Wednesday and Bubbles ‘n’ Brunch weekend events. A soft opening is rumored to be possible the week of January 15th. Keep an eye out for further opening information on their website.